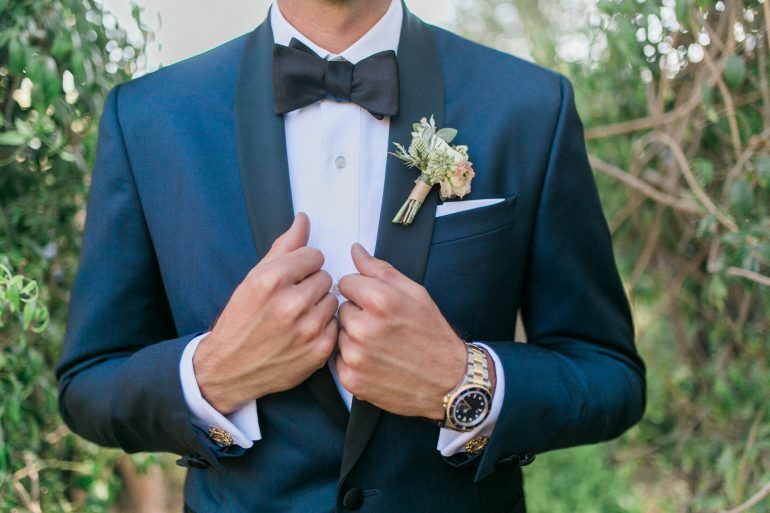 Today we are talking all about that bling bling! One of the more exciting parts of getting hitched is picking out your wedding rings. 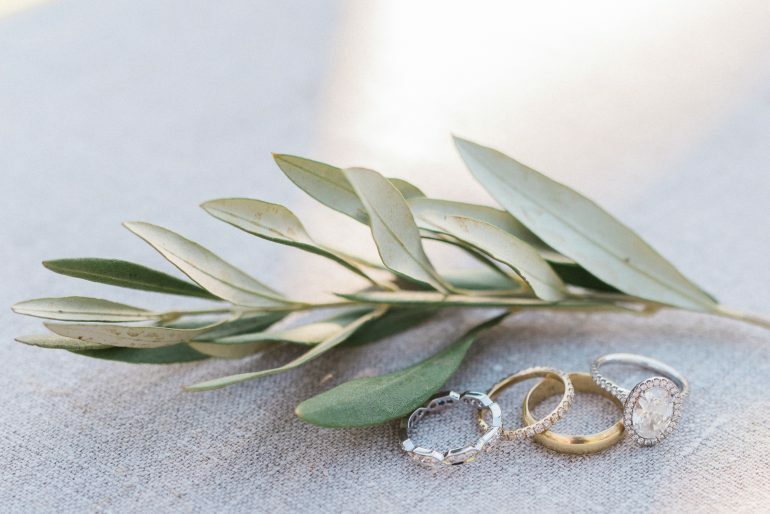 You should fully in love with what you choose to put on your finger because it is the most important jewelry you will wear for the rest of your life (no pressure…). 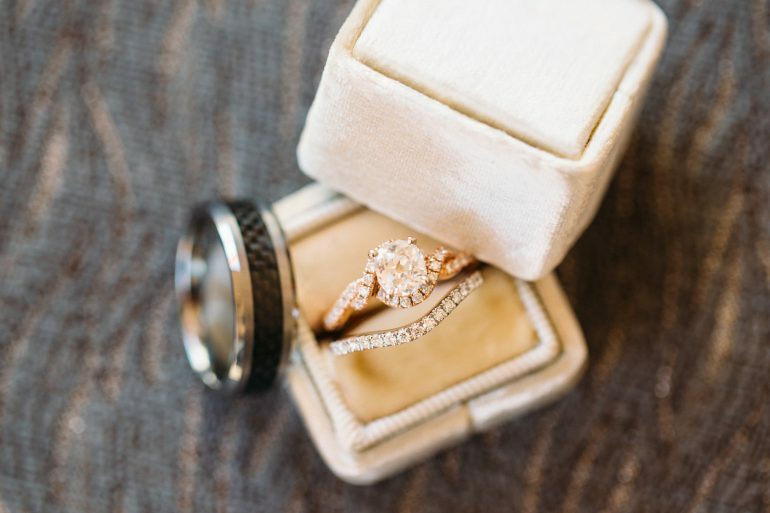 Here are some of our favorite wedding rings from our former couples! 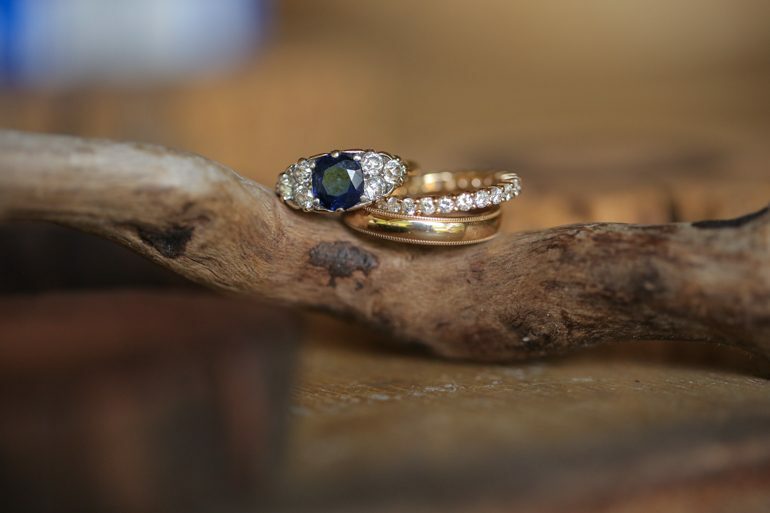 Before you decide on what kind of stone you would like, make sure you pick whether you want a silver or gold band! This will make picking out the rest of the style of your ring easier and make sure it is more cohesive. Sometimes less is more and that is very true when it comes to rings. We love this simple silver diamond ring. Also, a diamond is a girl’s best friend! 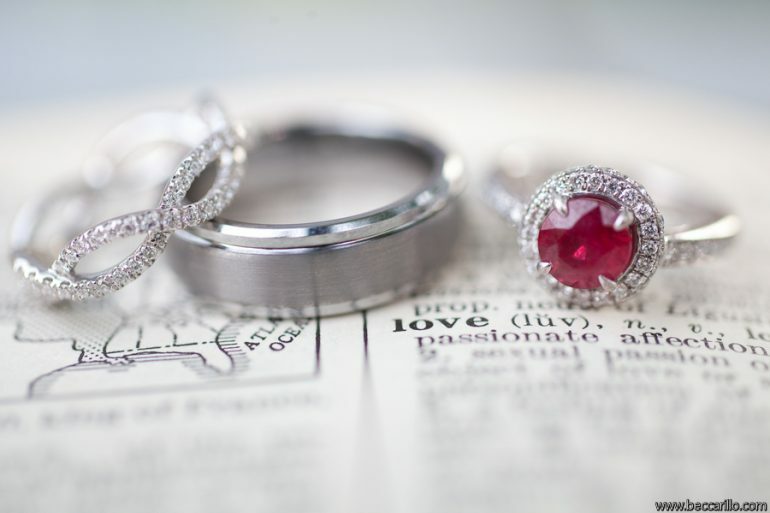 If you have a favorite color or a color that has a special meaning to you, then definitely add that into your ring. We love this topaz ring! We at Marisa Nicole Events do love a lot of bling! 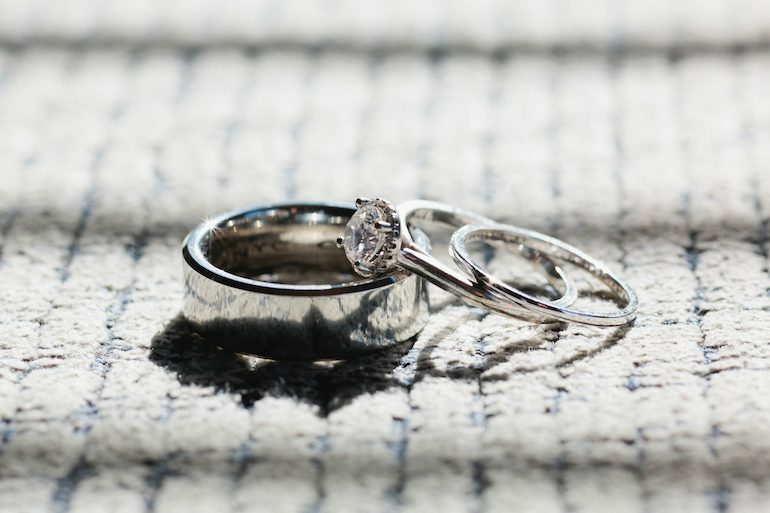 So if you do too, then a ring with extra diamonds on the band is a great option! 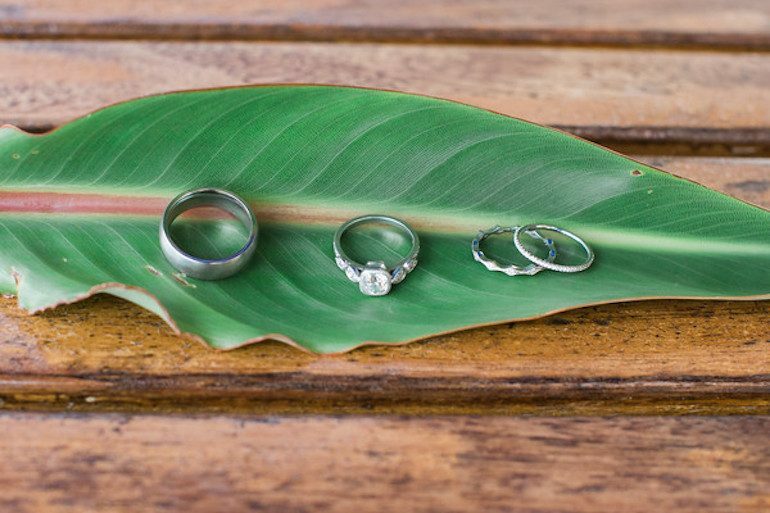 We love the idea of having a non-traditional wedding band. This infinity ring is gorgeous and symbolizes forever and always. 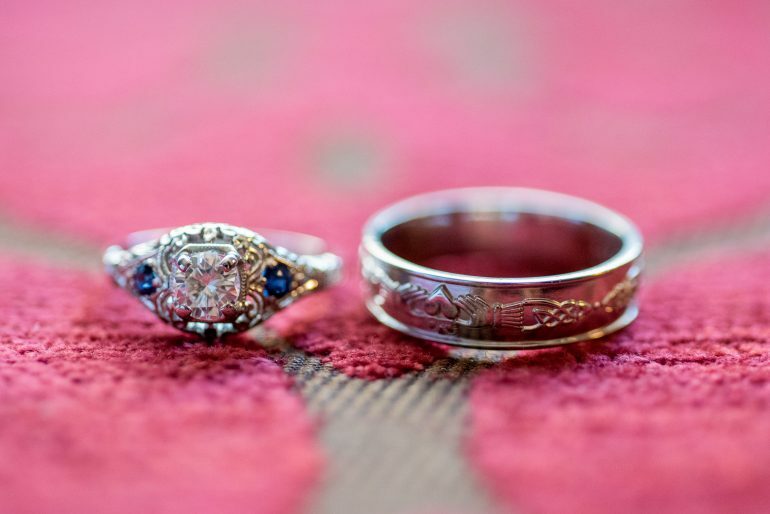 There are a million different ways to add a quote, picture or names into your rings. This ring is a great example of showing love, friendship and loyalty. Make sure you remember that your ring decision is what makes you happy, not anyone else. Pick something that goes with your personal style. 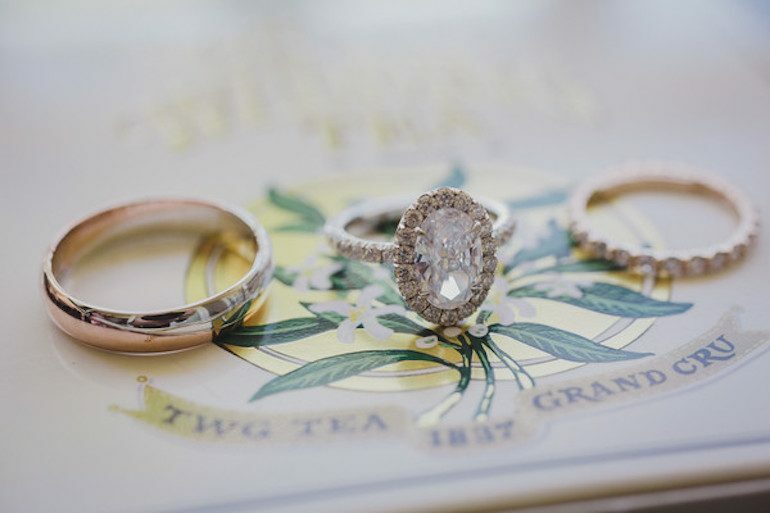 Also pick a ring that is timeless, just like your love. Your ring will be worn on your finger but will also be attached to your heart. 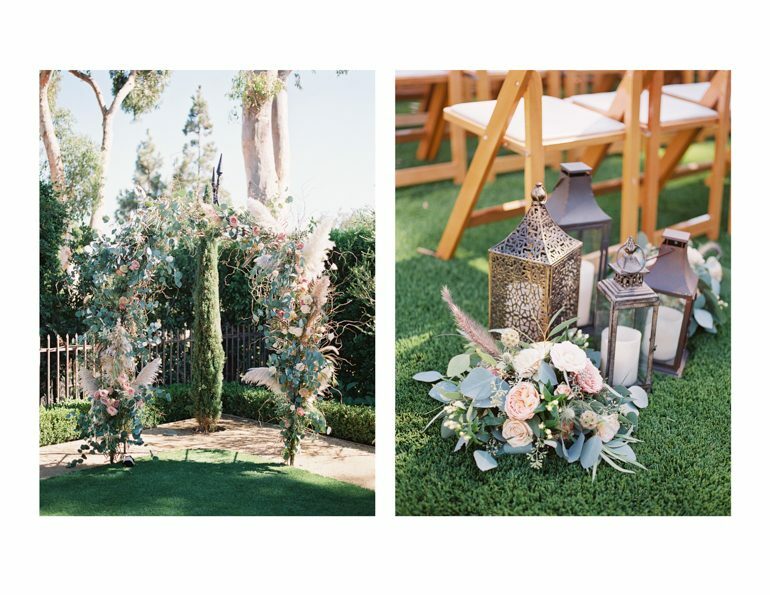 Spring has come and summer is just around the corner, which means it is officially outdoor wedding season here in SoCal! 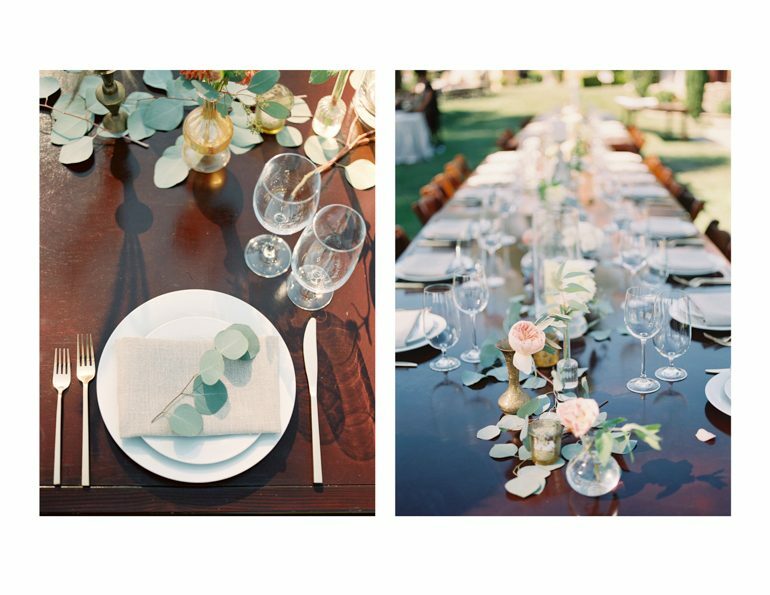 We at Marisa Nicole Events specialize in designing weddings in natural settings and let me tell you, hosting a reception outside is a whole different ballgame than in the confines of an indoor space. We have to allot for direct sun, high winds and varying temperatures. Many of our couples choose to assign their guests to specific seats, rather than just tables. 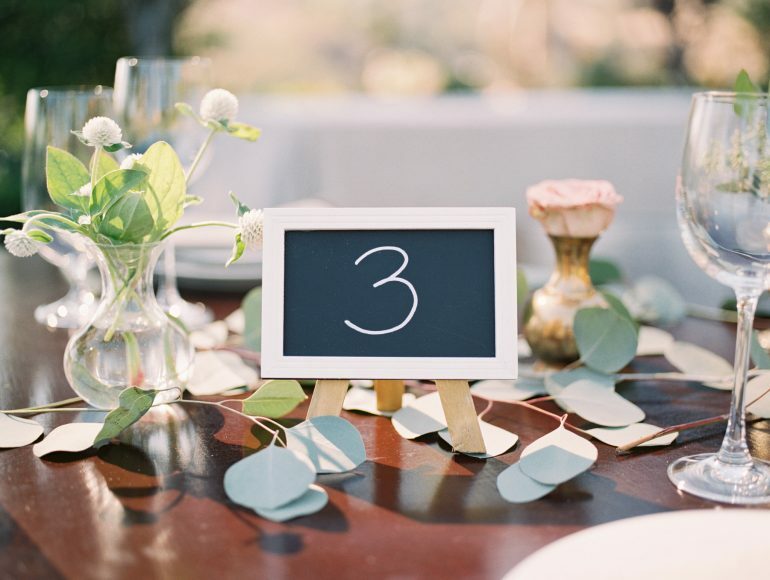 Therefore, for weddings that take place in the great outdoors, it is important that you have place cards that are directly mounted on or tethered to something heavy so that your name assignments will not fly away! There are many ways to incorporate communicating assigned seats into your look. 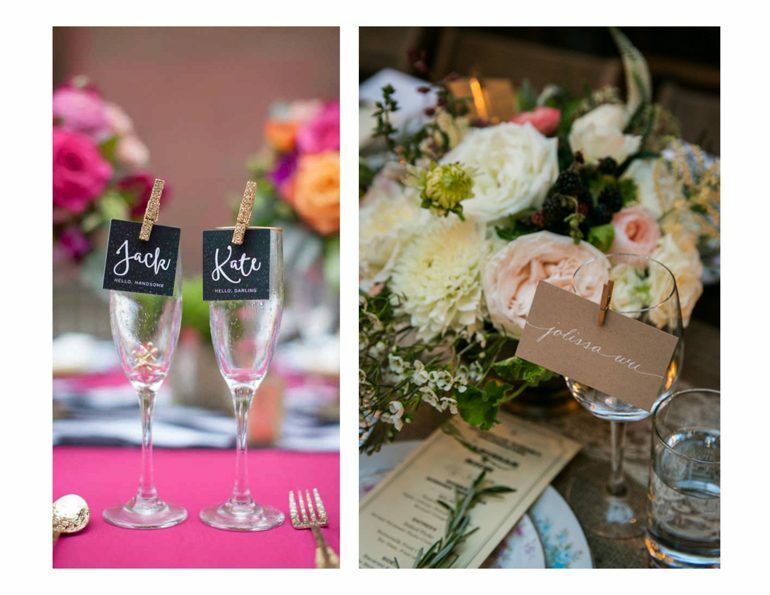 Here are some of our favorite ways to make name tags look cute and won’t get lost in the wind! Like the rest of the world, we are obsessed with agate rocks! They are so great because they are colorful, yet simple. Write on them with a gold pen in cursive and it makes for a perfect place card! If placed atop napkins, these beauties are sturdy enough to hold those down as well! 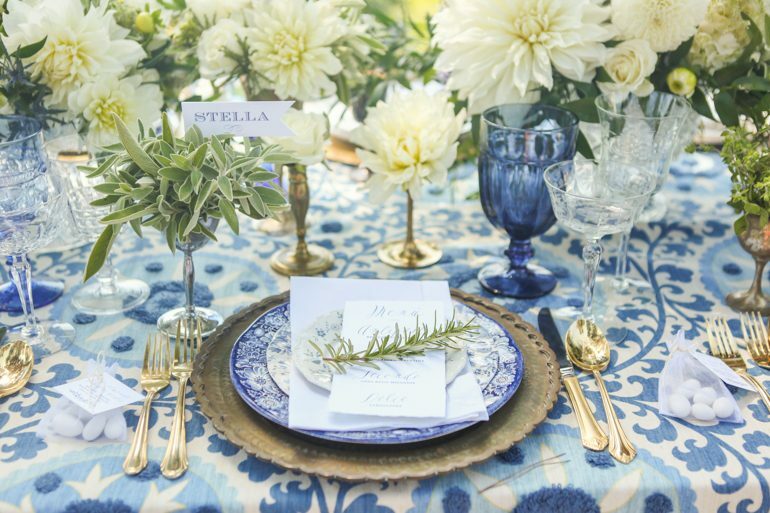 Plants can add to making the tablescape even more gorgeous and green. 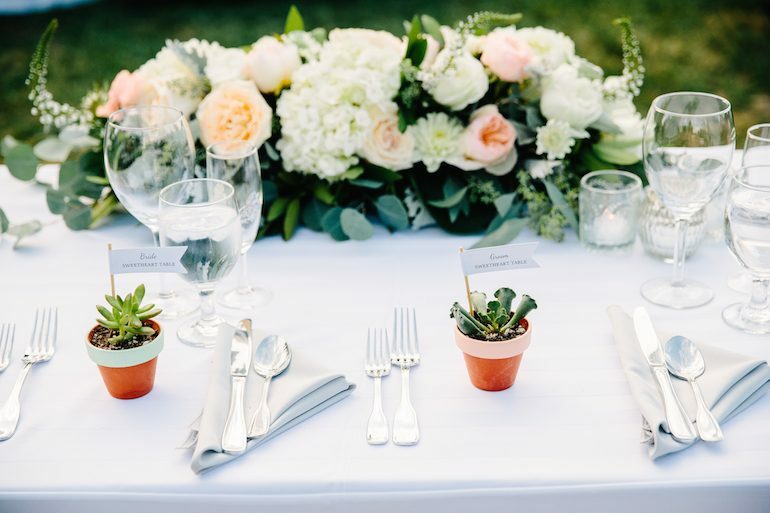 In addition, your guests will love taking home the plant to have as a keepsake of your wedding! 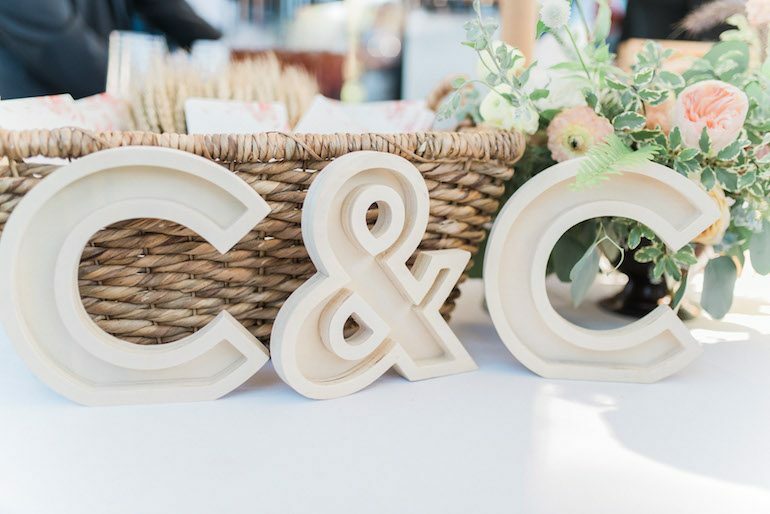 If you are having a playful wedding, we love the idea of writing your guests name on produce, especially on colorful fruit! 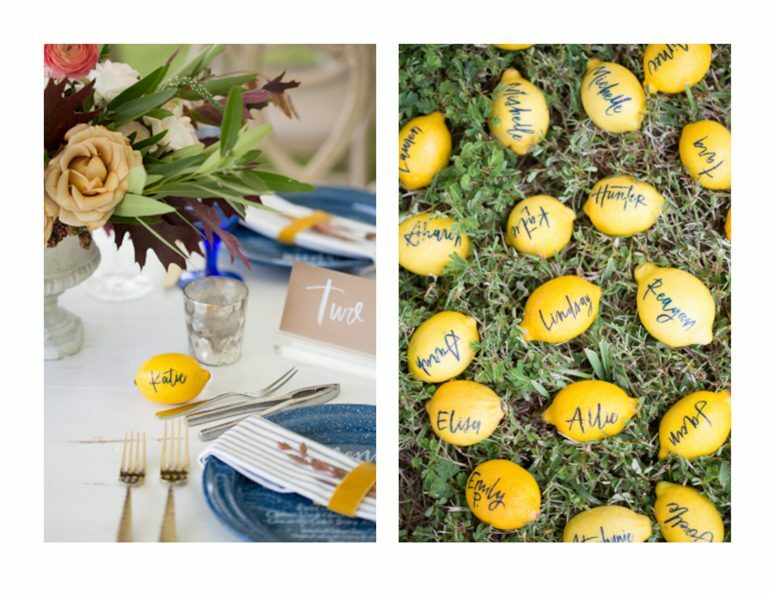 Lemons add a pop of color and refreshing element to a tablescape. Who doesn’t love candy? 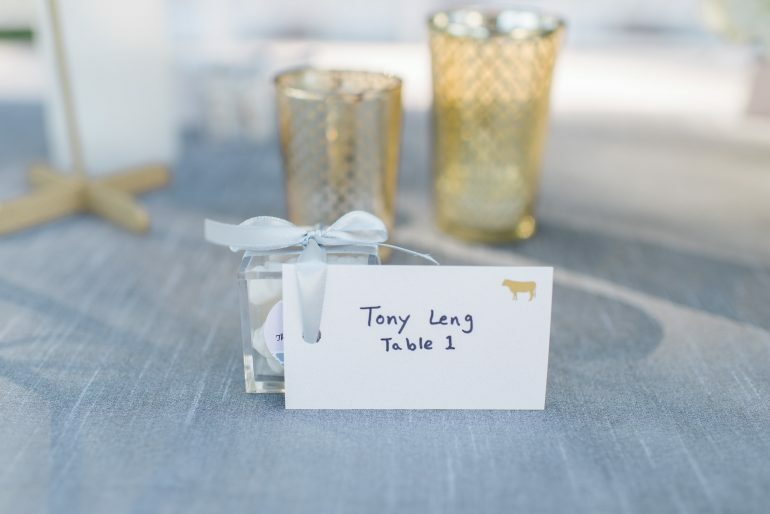 Have the place card tied to a box of candy as a treat for your guests to have after dinner! Just make sure that anything edible will not melt once they are put out. Attaching name tags to your glass of choice makes it easier for your guests to see their names since it is higher and more visible. Who wouldn’t want to see a drink with their name on it?! If you do not want to add any more elements to your table, then tying place cards to the napkins is a great option! There are so many different ways to fold and your napkin! Make sure you get ribbon that matches your color scheme. 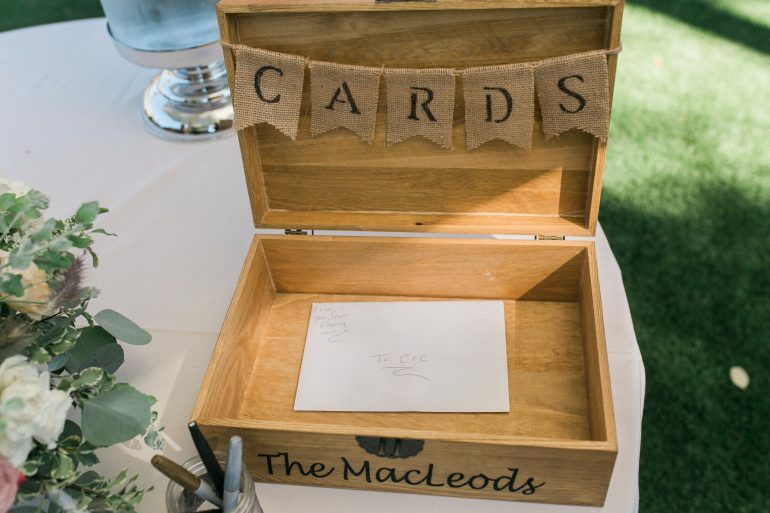 There are so many ways to make sure that place cards stay attached! Make sure that you are not adding too much clutter to your table with what you decide to use. 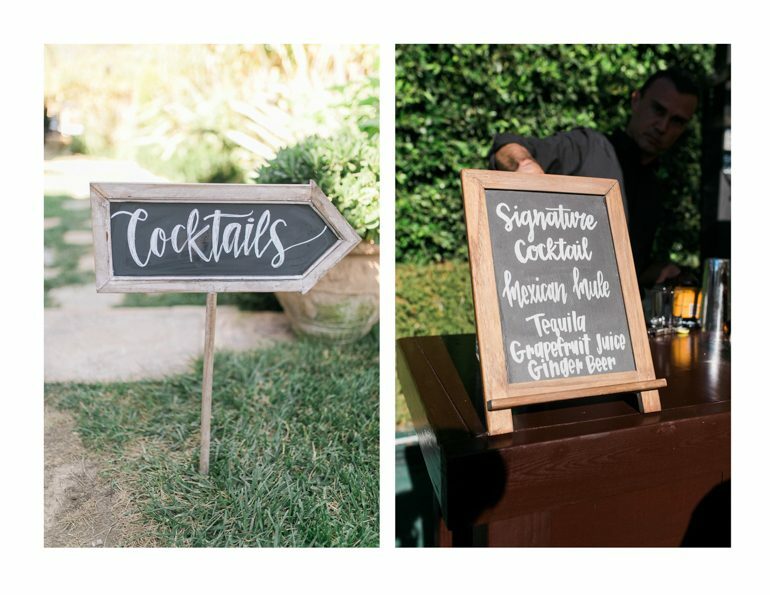 In addition, it is very important that the name tag is secure and tethered, otherwise your guests will not know where their seat is and that can lead to a lot of different problems during set-up (trust us on this one!)! 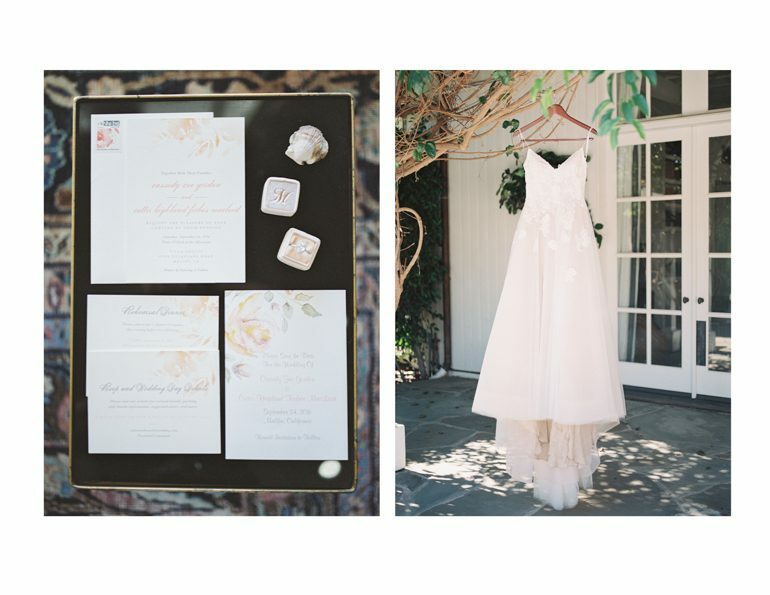 Magnificent Malibu Wedding: Cassidy & Cutter Married! 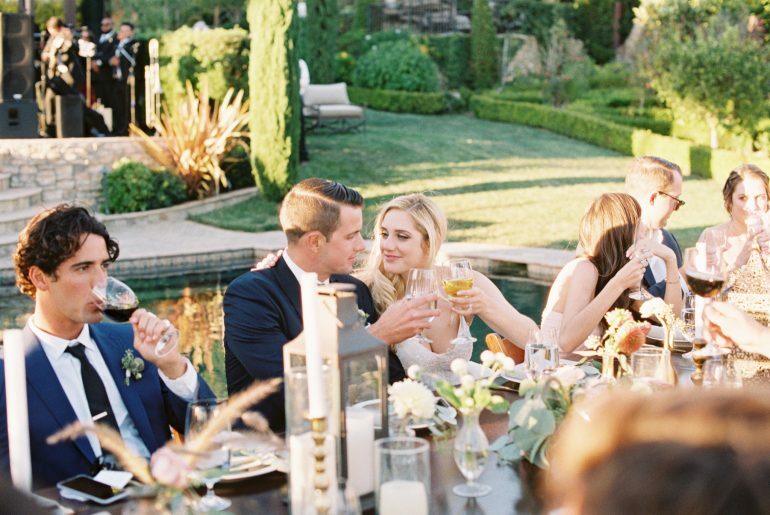 One of our favorite things about weddings is how it brings people together and can be a family reunion. One of our 2016 weddings was a big celebration of a couple that has many friends and family who were all very excited to finally see them get married. Cassidy & Cutter… what a gorgeous couple! 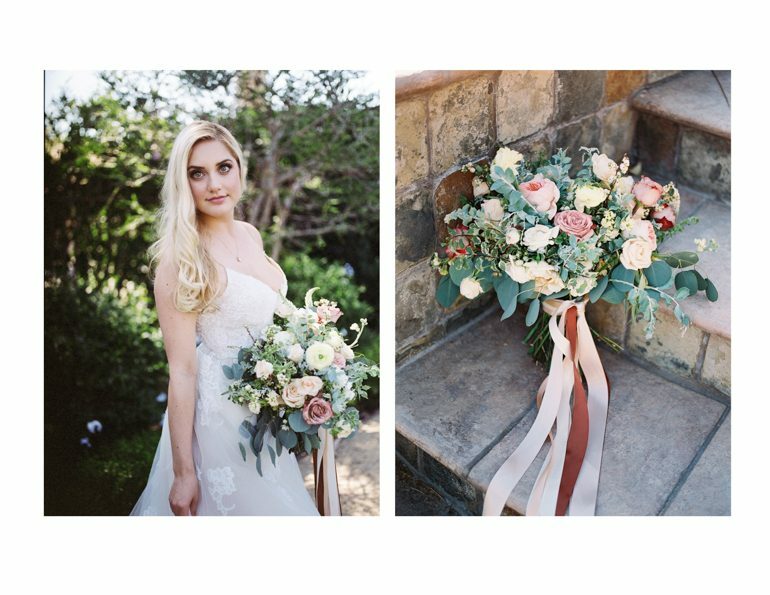 Their wedding was romantic with an earthy elegance that was brought out by different details. The overall vibe was easy and delicate. 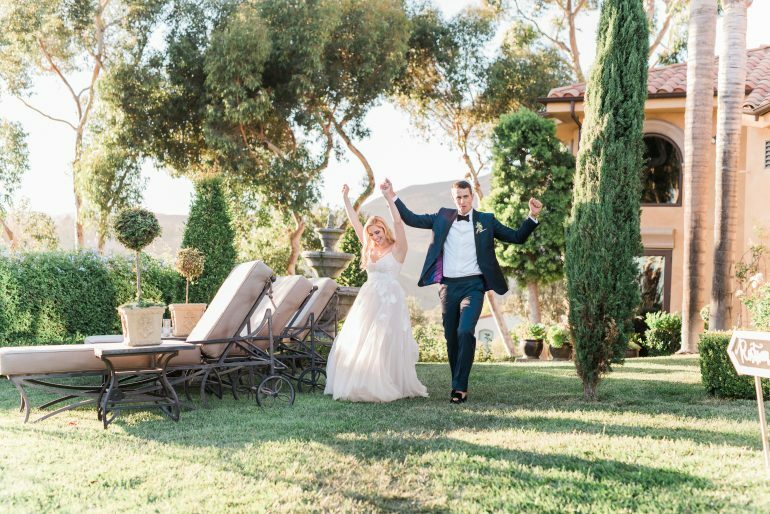 They tied the knot last fall at Villa Sancti in their hometown of Malibu. It is very special to be able to have a wedding at this venue since they host a limited number of events per year. Villa Sancti has views of the Pacific Ocean and gardens with pink roses and fountains. 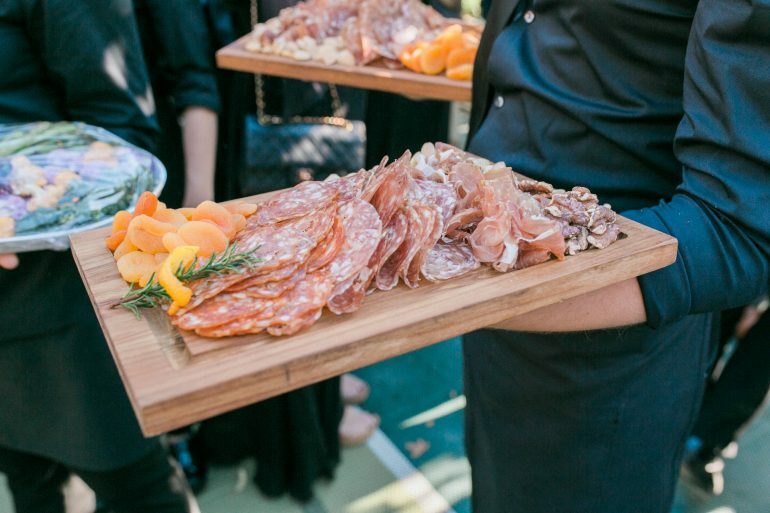 The venue transports everyone to the south of France or Tuscany. 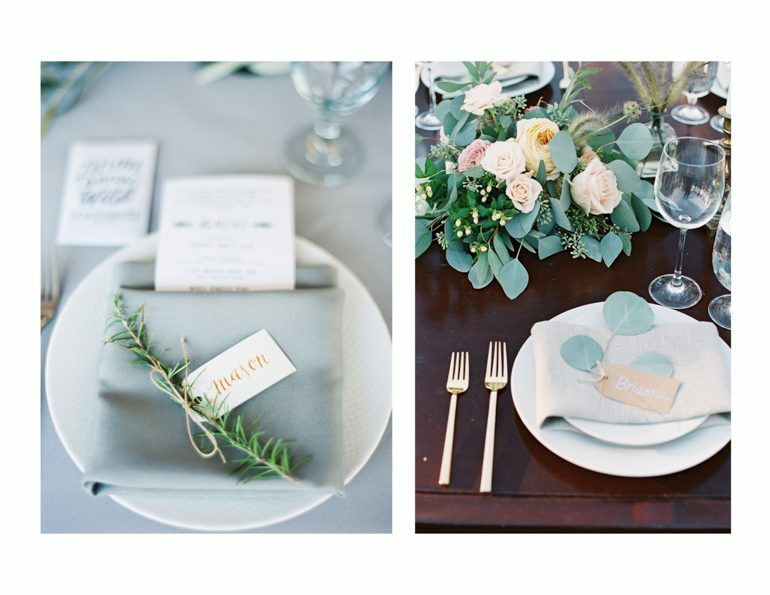 For this wedding, we went with a pallet of mainly greens and neutrals with small metallic and varying warm touches. These colors complemented the earthy, natural and easy feel we were looking for. 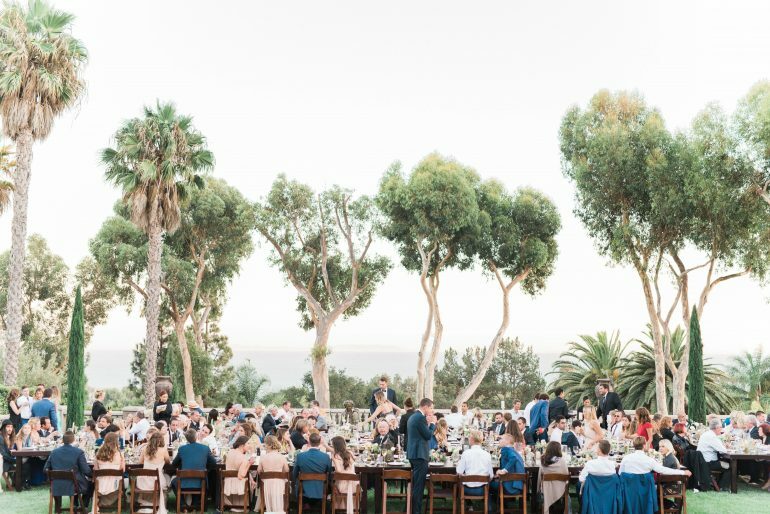 The couple said their “I-dos” in front of a lush archway with a backdrop of a sweeping view of the pacific. The table setting was clean and simple. 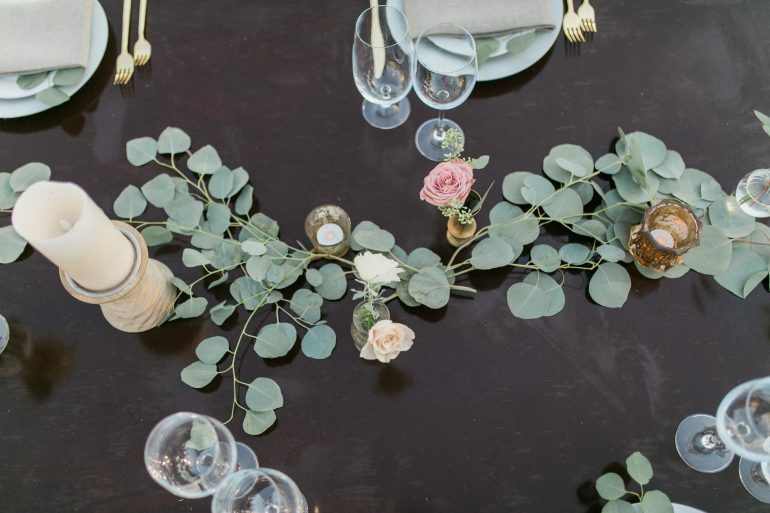 Cassidy LOVED silver dollar eucalyptus, so we used it everywhere, particularly all over the tables (laying in a linear fashion, this greenery makes for a gorgeous yet understated table runner) and at each place setting! 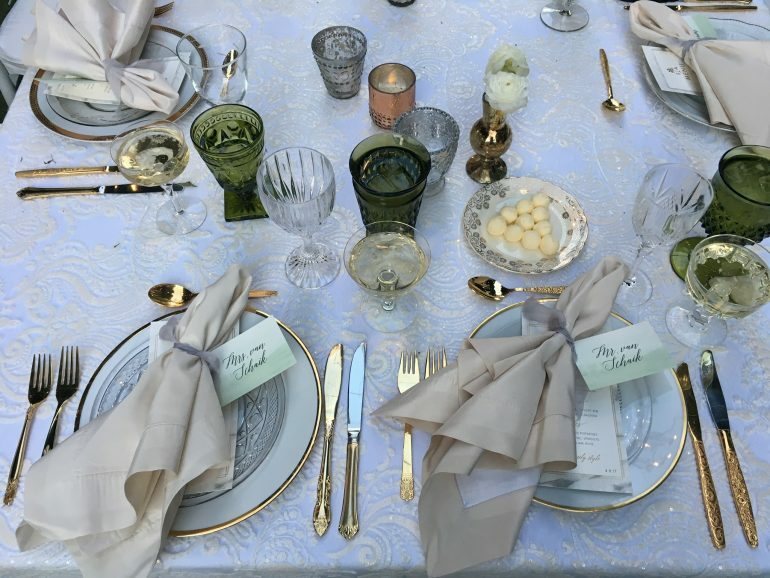 We also incorporated small touches of elegance into the tablescape with metallic candles, delicate vessels and full blooms. 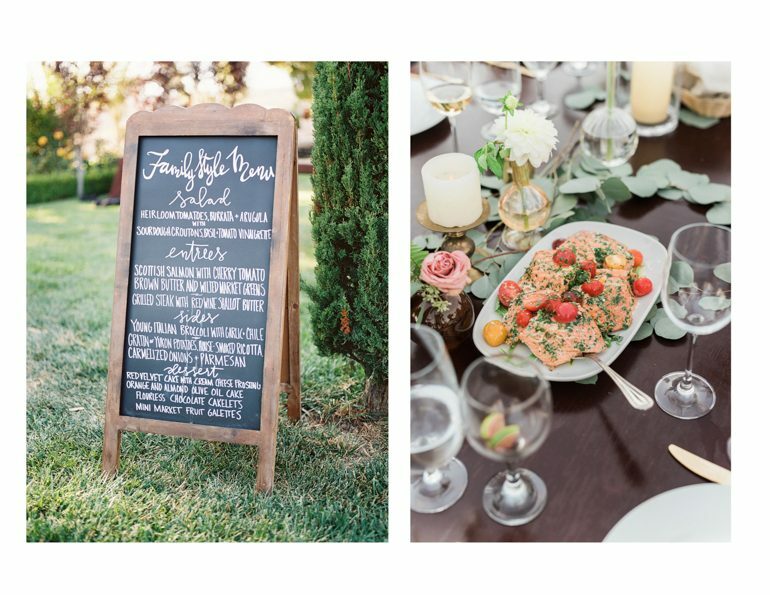 Variety was our mantra, and it served to create dimension and interest throughout the couple’s laid back yet elevated feast! The meal was served by one of our favorite’s, Whoa Nelly. They decided to do family style which was perfect for the occasion and made it easy for everyone to enjoy a variety of food. The food was absolutely mouthwatering from the salmon to the steak. 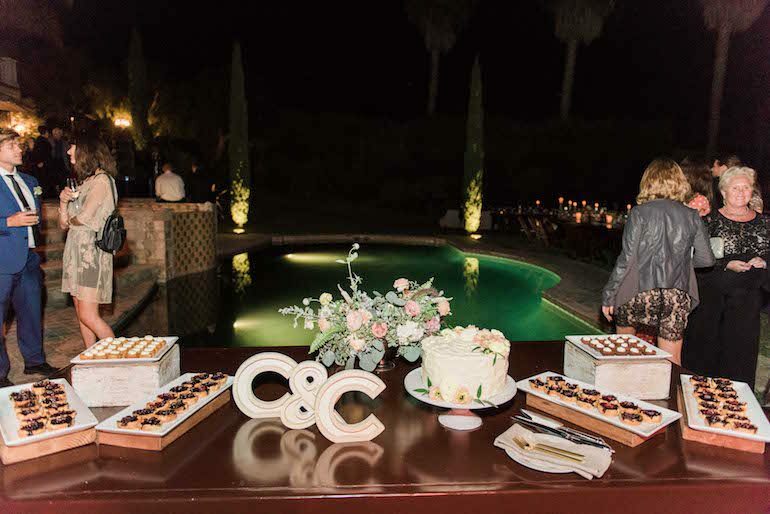 After dinner, the couple and guests enjoyed dancing the night away with a live band and scrumptious desserts. This celebration was one for the books! We wish Cassidy and Cutter a wonderful life together and thank them for allowing us to be a part of their wedding!